I wasn’t sure what to expect when I first started reading Never Let Me Go. Although I had heard from many others that it is an excellent book, I had never heard many details about the plot itself. There’s a good reason for that. Discussing Never Let Me Go is a bit difficult without revealing spoilers. On the surface, it appears to be a book about three friends–Kathy, Ruth, and Tommy–who are students at a boarding school named Hailsham in England. The book is narrated by Kathy, who is 31-years-old and nearing the end of her career as a “carer.” She tells the story of her life in three different parts–the first as a child and teenager at Hailsham, the second entering adulthood at the Cottages, and the third as a carer who has reunited with her dear friends. Throughout her story, she speaks directly to the reader, and as her narrative progresses, that reader begins to understand that Hailsham was not exactly the type of boarding school he or she expects it to be. The difficulty in reviewing Never Let Me Go lies in my inability to address Hailsham’s purpose and the intricacies of Kathy’s (known as Kath to her friends), Tommy’s, and Ruth’s relationships with one another. Kazuo Ishiguro has definitely crafted a very thought-provoking novel with a fairly unique premise, and he did so while also allowing readers to gradually begin to understand the psychology of the lives the characters led. The reader gradually begins to understand the truth of what’s happening in Never Let Me Go without any major “ah-ha” moments, just as the children at Hailsham seem to do the same. Kath remarks many times that they must have known all along, but she really doesn’t remember how they came to know the things they knew. Ishiguro also did an excellent job conveying Kath’s disillusionment through the deadpan voice through which she narrates the story. She seems to tell the story without much emotion at all, and although doing so left me feeling very distanced from her as a narrator, by the time I finished the book, I understood Ishiguro’s purpose behind keeping Kath and the reader from being able to form a connection. However, doing so also left me questioning her feelings toward Ruth and Tommy because of the detachment with which she seemed to describe her relationships with them. I never really got the impression that she truly cared that much for either of them, despite the fact that she says otherwise throughout the book. The reason this book isn’t getting a higher rating from me is simply because I didn’t feel invested in any part of the novel until the last few chapters. For the first two parts of the book, I felt that Kath’s focus on explaining every minute detail of the things that happened, including often interrupting herself to say that other elements needed explanation or following up a story by saying that it might have been different than she remembered or that it didn’t really matter after all, felt unnecessary to me. I never felt as though the stories made me feel closer to the characters due to the detachment I described before, and although the ending of the book helped me to see that the stories ultimately did have a purpose and that they all tied together, they just felt very tedious through most of the book. Ultimately, the truth about Miss Lucy and the truth about Madame’s “gallery” were the crux of Never Let Me Go, but by not revealing either of those things until the very end, I didn’t feel that I was able to really process either of them. If they had been introduced earlier, the mystery of the book would have been lost, and I feel it would be fair to assume that the characters would not have proceeded with their lives the way they did at all; however, the two questions presented by those secrets were incredibly thought-provoking and provided an excellent basis for the novel, but they felt rushed in the end. 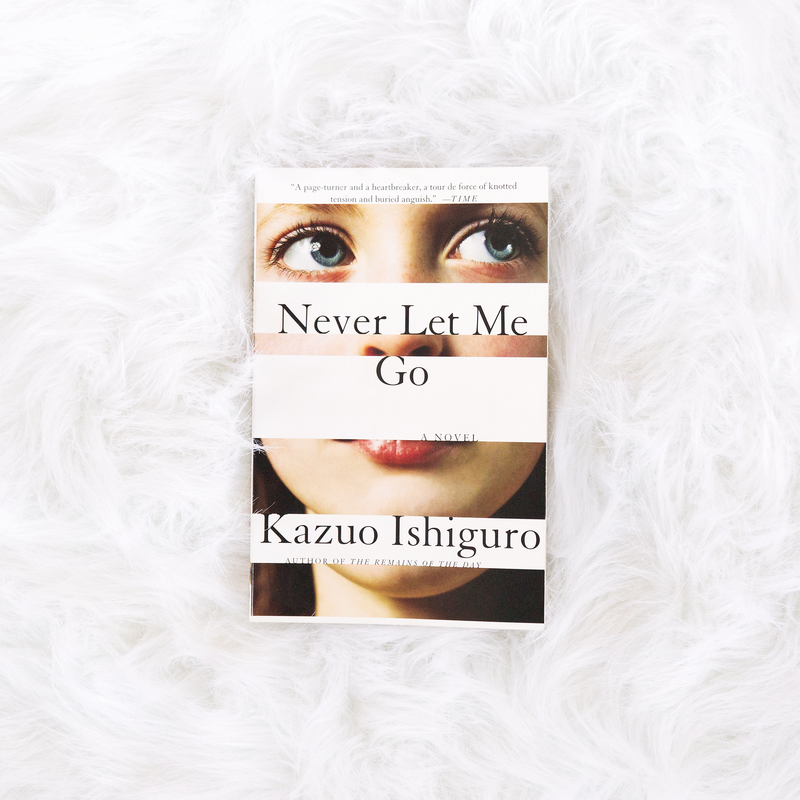 Posted in FictionTagged book review, Fiction, fiction review, Kazuo Ishiguro, literary fiction, Never Let Me GoBookmark the permalink. Very thorough, well thought-out review. I read this book as a student in college and I remember having some of the same thoughts when we finished reading. This is the type of book, I think, where it helps to discuss it in a group setting after you’ve finished reading. Thanks for posting! Of course! I’m glad you enjoyed the review. Thank you for reading!